I challenge you to step outside of your comfort zone and learn to say "hello" to someone of a different ethnicity. This is a great way to build social capital. As Chicagoans, we have the opportunity to travel to world without leaving our City, yet so many people have never been downtown. 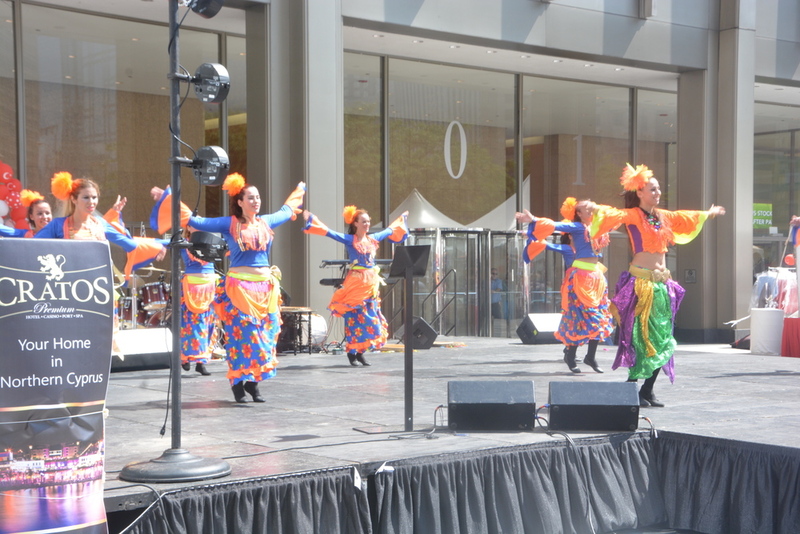 This week, I headed downtown to attend the Chicago Turkish Festival, held at Pioneer Court, 401 N. Michigan Ave, right between the NBC and Tribune Towers. Upon arriving, I was anxious to greet my fellow Chicagoans with a lively, "Merhaba!" Merhaba corresponds to "Hello," or "Hi," in English. My Turkish friend Joe, the guy that prints my awesome T-Shirts, gave me a few tips before I attended the festival. Choreographed dancing has been the common denominator between all the Festivals I've attended. The Turkish men and women could move. I don't know what any of the dance moves were called, but their style of dance looked like Karate. Swooping kicks, and chopping motions, all in unison of course. One things for certain, I can't dance at all, so I wish I could do one of those moves with half of the rhythm they exhibited. The Turkish American Cultural Alliance was one of the many sponsors that I noticed. If you want to learn how to speak Turkish, or learn Turkish dance, I encourage you to visit their website. Their vision involves bringing people with interest in Turkish culture together, regardless of ethnic origin, religion and other preferences. I cannot complain. Chicago Festival Season is the best. I'm trying to learn something new every week.